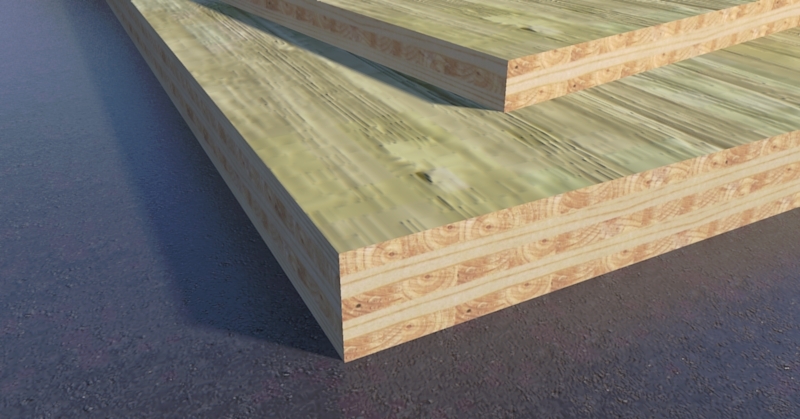 Home » Tutorials » Need a Cross-Laminated Timber in SketchUp? With Cross-Laminated Timber (often abbreviated to CLT) available now as a new and exciting building material, I am sure some of you will need to include these in your SketchUp models, too. To help you out a bit, I am making available SketchUp components of 3-ply and 5-ply CLT panels. You can download them from my 3D Warehouse account (for example you can just search for “CLT” in the Components window in SketchUp). Click on the links below to preview and access them. As always, these are available under a Creative Commons Attribution License. They are from my textures set.